Former US Attorney and Coffey Burlington partner Kendall Coffey spoke this month at the St. Petersburg Legal Forum on two different topics. 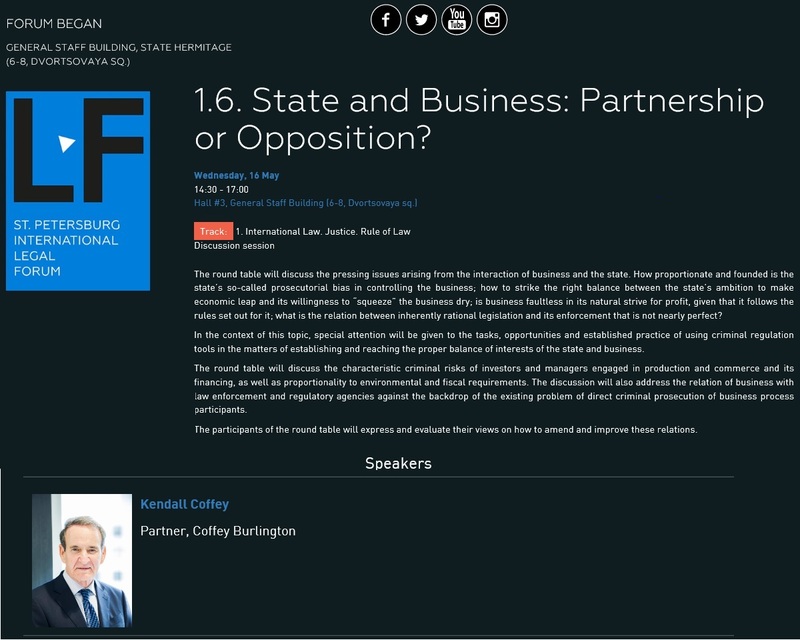 In this session, Mr. Coffey was a speaker on the subject of the relationship between government and business in civil, administrative and criminal matters. The Legal Forum is one of the world’s biggest international law conferences and brings together some 4500 participants from 75 different countries.” Click here.